hat can a group of 20 committed young people accomplish? Plenty. The Austin College Service Station has coordinated hundreds of thousands of volunteer hours for students since its founding in 1991. In its 25th year, student commitment remains strong. 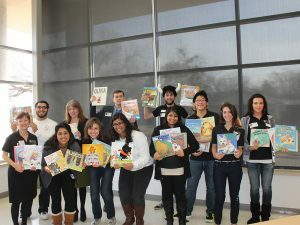 The program is led by a 20-member student board, and Nancy Morgan, coordinator of volunteer services since 2008, guides the group. The mission is to match willing student volunteers with service needs in nearby communities. Short- and long-term projects pass through the Service Station regularly, and the board maintains a thorough list of community contacts to make sure the opportunities never run dry for individuals and the many campus organizations that have service goals each year. The Service Station coordinates several annual programs that involve large numbers of students, including First We Serve, a project completed by incoming freshmen each fall; Great Day of Service and a food drive every fall; JanServe during January; GreenServe, environmentally focused service each spring in conjunction with the campus Thinking Green effort; and Alternative Spring Break service trips that often have included relief and rebuilding following natural disasters. 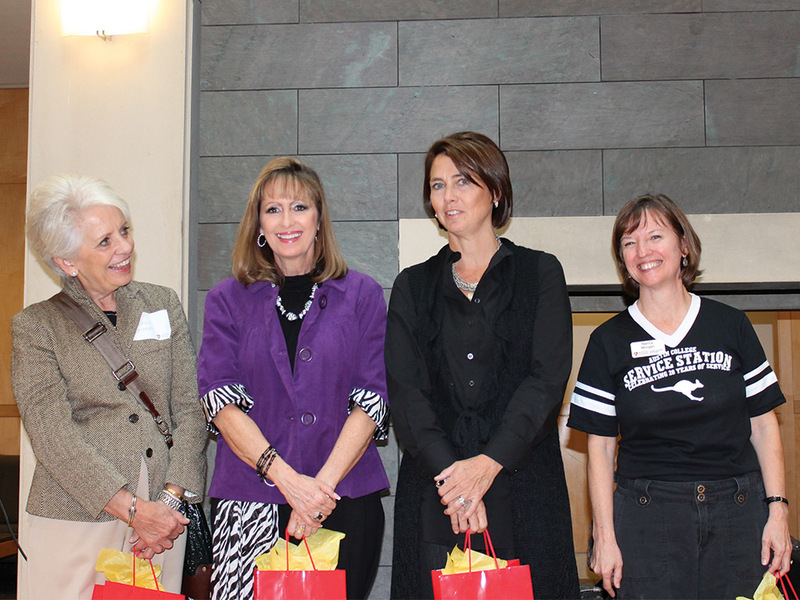 To mark the 25th anniversary, the Service Station was featured at the November 2016 Collin County AlumNight in Plano, Texas. Friends and alumni gathered to reminisce and review scrapbooks from years past. Reasons for celebration were plentiful. 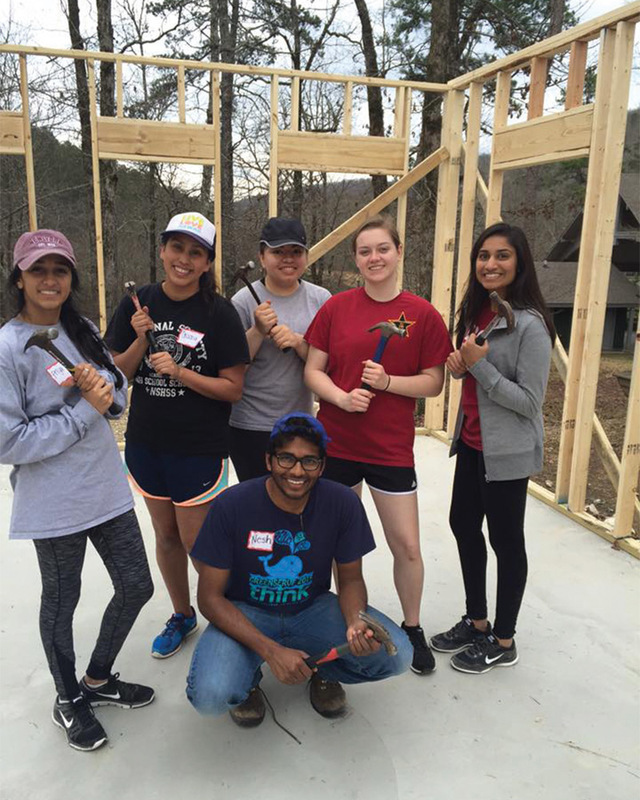 The Service Station had just completed the 19th Great Day of Service on November 5, during which 426 volunteers mobilized to provide more than 1,275 hours of service to 46 agencies in the surrounding communities. 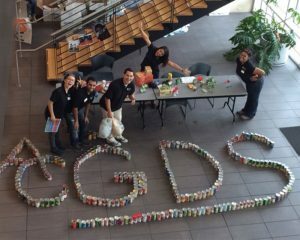 The event’s slogan, “Gotta Serve ’Em All,” rang true as students were well-received by nonprofit groups with much work to be accomplished. 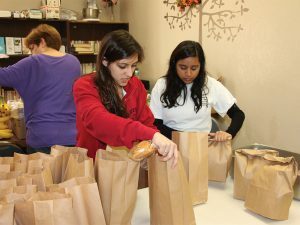 Other regular programs include tutoring of area school students and coordinating ’RooBound, a monthly Saturday morning enrichment program for area children. 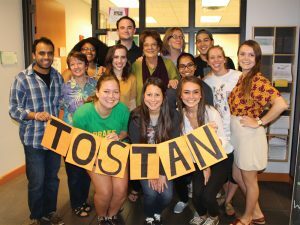 International outreach comes through the annual Tostan awareness dinner and art auction, now in its 10th year, which benefits a community empowerment organization in Dakar, Senegal. 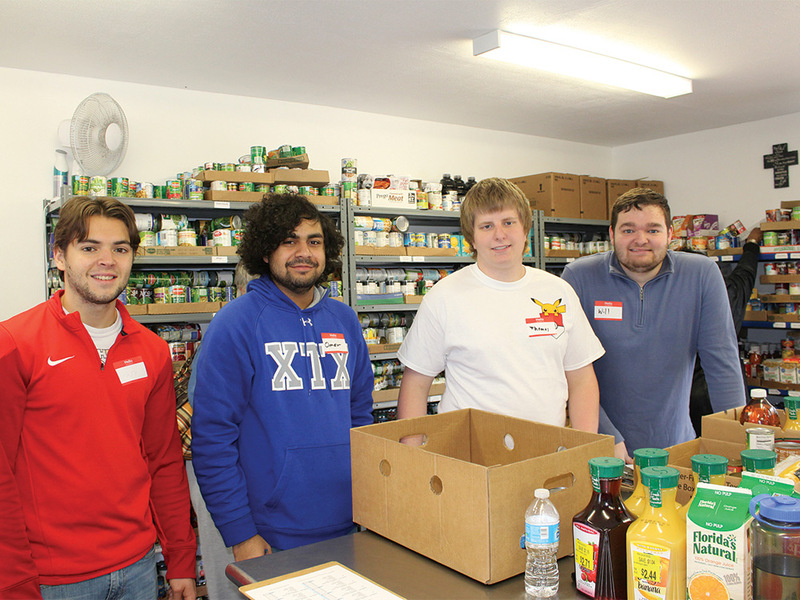 The Service Station is part of Religious Life programming and is overseen by Austin College chaplain John Williams ’84. 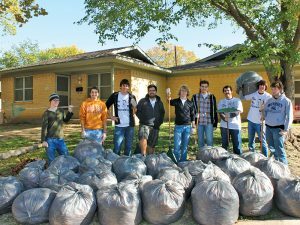 Initially funded through the Priddy Foundation of Wichita Falls, Texas, the organization has received additional financial support from the Oliver Dewey Mayor Foundation, the Captain H.T. Hastings Charitable Trust, Bob and Laura Dies Campbell ’73, and many other alumni, churches, and friends of the College. 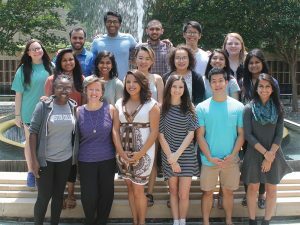 The 2016-2017 Service Station Board includes, left to right, front row: Liberte Manirakiza, coordinator Nancy Morgan, Ana Maria Rea, Hannah Myslik, Kevin Mai, Aneesa Vaidya; second row: Parsa Azam, Henali “Henna” Patel, Nina Ding, Zuleyma Ruiz, Krishna Patel, Femy Varghese; and back row: Elise McCarthy, Vidur Marwaha, Nesh Maniam, Pranav Sheth, Brandon Ding, and Hannah Eason. 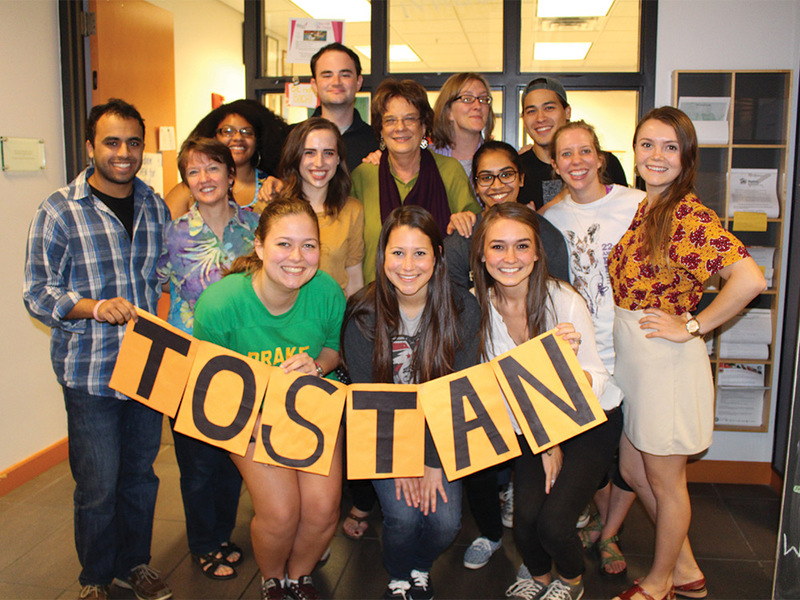 Service Station Board members pose with Tostan founder Molly Melching, on campus to meet with students and speak at the group’s annual Tostan dinner and art auction in spring 2015. 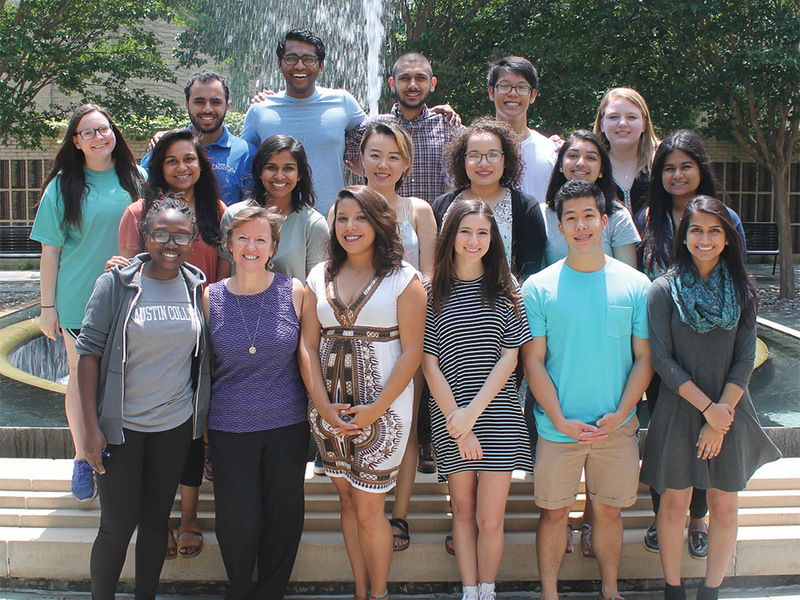 Pictured are, left to right, front row: Jade Ross, Kayla Farrar, Alex Ocanas; second row: Vidur Marwaha, Nancy Morgan, Riley Heruska, Molly Melching, Huma Butta, Jamie Willoughby, Savanah Low; and third row: Leslie Wynn, Tyler Hicks, Suzanne Bowles of Tostan, and Andrew McMillan. Jeannie Graber, Nikki (Bitzer) Christensen, Carol Millerick (not pictured), Melanie Brown Oelfke ’84, and Nancy Morgan have served as coordinator of volunteer services throughout the 25 years of service. Nancy Morgan continues in that role today. 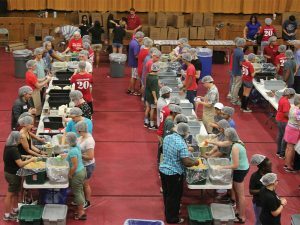 As part of orientation, freshmen join Service Station Board members for “First We Serve,” and in 2016, prepared 30,036 meals to be distributed through Kids Against Hunger. 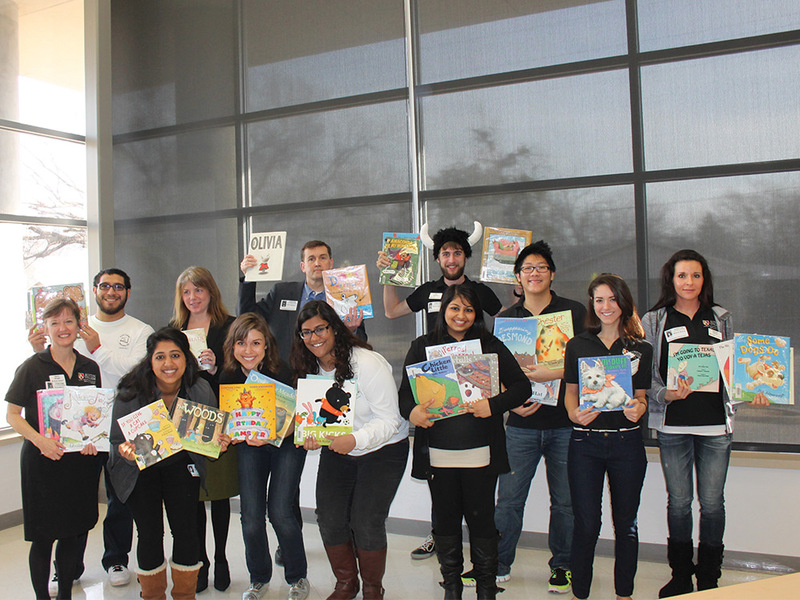 These students, along with President Marjorie Hass and Dr. John Williams ’84, chaplain, read to students at Washington Elementary School for JanServe 2013 and were delighted to find some of their childhood favorites among the book collection. In other photos, service ranges from raking leaves for senior citizens to disaster relief to work at a food bank and soup kitchen.